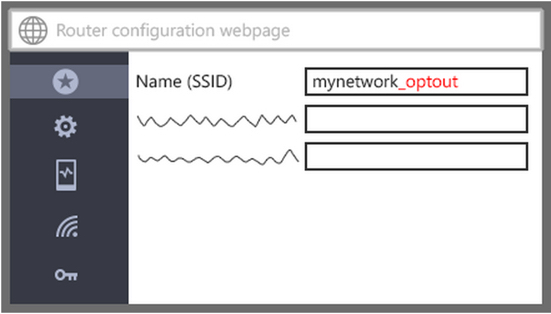 For those who haven’t seen it yet, Windows 10 includes a feature, WiFi Sense, that allows a user’s friends to share WiFi access with others. For example, Bob might allow Alice to access his access point. With WiFi access, she never has to log in again to use Bob’s network. This doesn’t necessarily give Alice access to network resources, just the Internet. However, access to the access point provides opportunities for using it to commit a crime while putting the blame on Bob. And then there’s the chance that the barrier between Bob’s guest network and his internal network isn’t as strong as it should be. 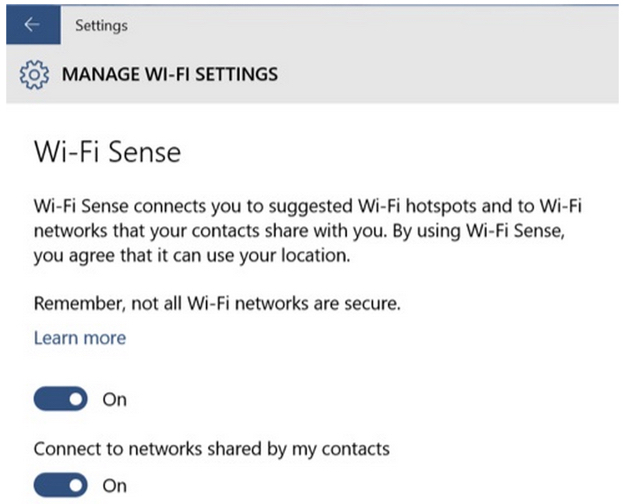 “WiFi Sense will automatically connect you to detected crowdsourced WiFi networks, acquire network information and provide “additional info” to networks that require it (it’s not clear exactly what constitutes additional info), and can be used to automatically share your WiFi password with your contacts on Facebook, Skype, and Outlook. So whether questionable people might have access to Bob’s access point depends on how Alice sets the switches during initial access. Or he can set up the connection for Alice and make sure her sharing settings are properly set. Both options rely on Bob or Alice making the right choices. No one in security believes relying on human behavior for security is a good idea. Microsoft, what were you thinking? Is email safer than a password? According to a Register article, Small change to Medium takes large axe to passwords, Medium is providing an option to use email to login instead of passwords. I registered at Medium to check it out and to see if I agree with the Register article about possible weakness. Sign up is easy. On the first screen, you choose whether to use a social network login (e.g., Twitter) or email. I chose email. After selecting topics I wanted to read about, Medium sent an email to me. Using the email, I logged in. No password, just a user ID. I logged out and tried to log in again. Medium asked me for my registration email using TLS 1.2 to encrypt the session. I entered my email and almost immediately received a message from Medium. The message provided a button I pushed, which took me to my home page at Medium. Very fast, very efficient. In an email-as-a-password world, email becomes a single-point-of-failure and a big target. As long as users do better at password selection, this could still work. What are the odds that we can train users (after trying for years) to use something other than 12345678 or Passw0rd. In a Yahoo article posted yesterday (Internet advertisers kill text-based CAPTCHA – Yahoo! News), Mike Wehner writes about possible changes to text CAPTCHA hell. Yes, I said hell. I am nearing my sixth decade of life on this planet, and I sometimes have to give up and make a phone call when trying to use some of the inane CAPTCHA implementations I encounter. I am willing to suffer a second or two with ads to select. I am not alone in my journey through the CAPTCHA quagmire. 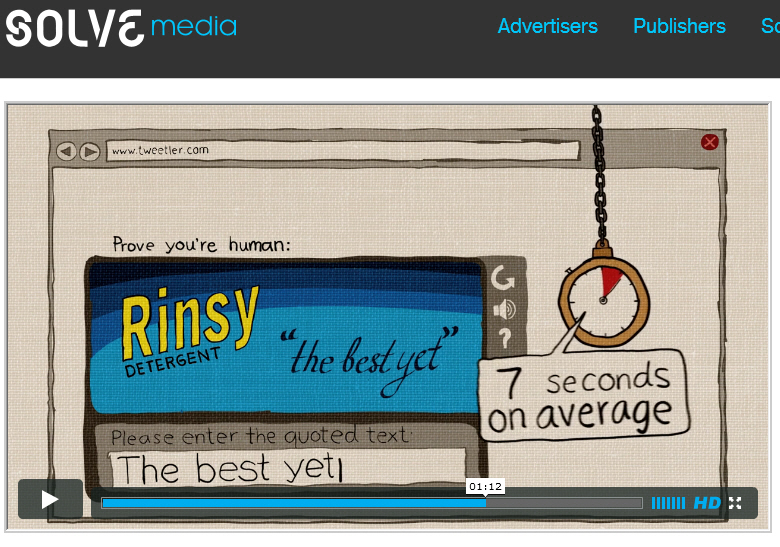 According to Wehner, negotiating a CAPTCHA takes an average of 14 seconds. Some take much, much longer. This is leading some companies out of the swamps and toward ad-based verification. Solve Media is the big player in this space, and the graphic below demonstrates how ad-based CAPTCHA works. Instead of typing meaningless drivel, she enters text related to the displayed product. Easy and designed to drill product messages into our heads. I know. Just one more way to commercialize the Web… but I don’t care. If I can cut CAPTCHA frustration while helping vendors carry out Turing tests, I’m OK with this. How about you?